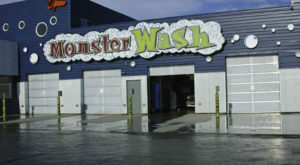 As most Alaskans know, Alaska winters are filled with fun things to do! 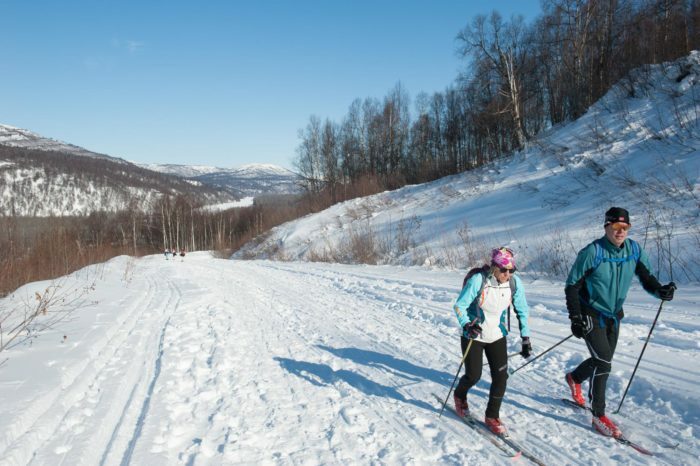 One of the highlights of the end of winter season is the Nordic Skiing Association of Anchorage’s Ski Train. 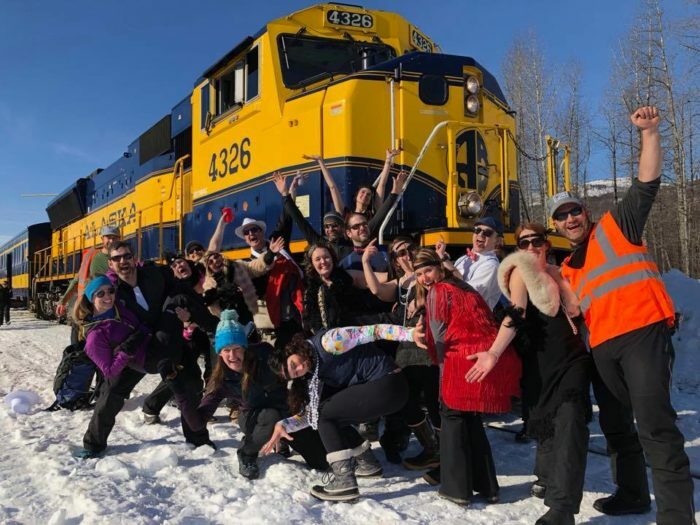 This fabulous train ride is a full day out in the backcountry filled with polka bands, a bar in each car, food options, and a great day of gorgeous skiing! 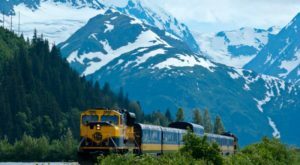 The Ski Train takes you out into the Alaskan backcountry of Curry. 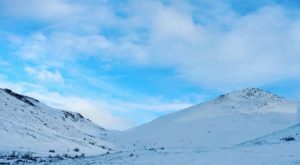 This area is completely inaccessible by road, to experience some of the best winter has to offer! Starting with an early loading time of 6:00 a.m., you'll board the train on one of the train car options. There's room for food and gear on the car, but remember to stock everything ski related in the baggage car! This annual event has been held for over 40 years! The tickets sell out very quickly, so make sure to purchase them as early as possible. 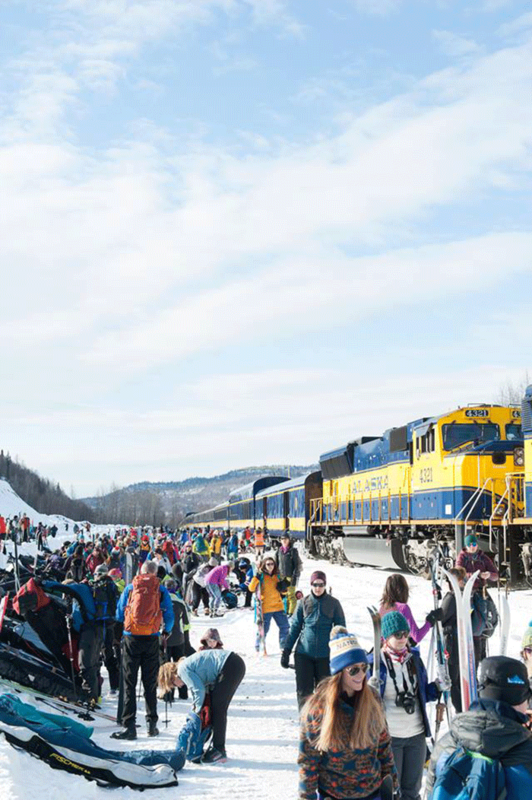 Boarding runs from 6:00 a.m. through 7:00 a.m., and the train departs the station at 7:30 a.m. You'll arrive in Curry around 11:00 a.m. You can then ski in the gorgeous backcountry until the train departs at 4:00 p.m.! 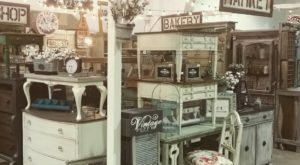 This is a great event for the whole family! There are four train cars open to families of all ages, including a Wild Scoops Ice Cream Car. This car includes complimentary ice cream with your ticket purchase! Every car has a theme, as well, so remember your costumes! This year's themes are: rock stars, comic book villains, super heroes, star trek, Hawaiian, animal kingdom, and Mardis Gras. Make sure you book your seats on the car that offers the theme you want to dress as! 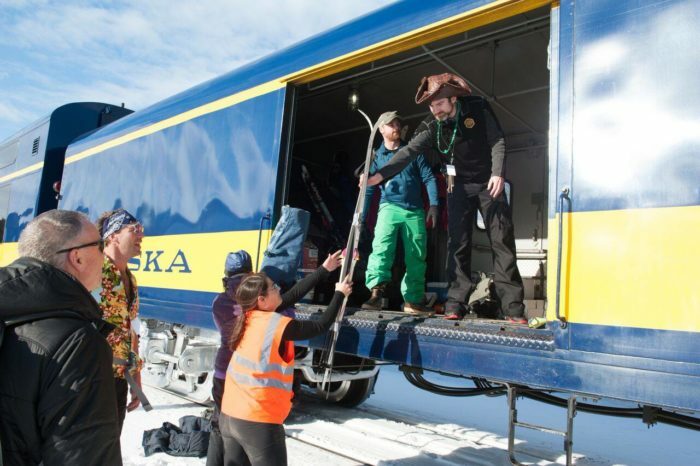 The Ski Train also offers the option of checking your ski bags the night before. This relieves the early morning pressure of loading both equipment and families. 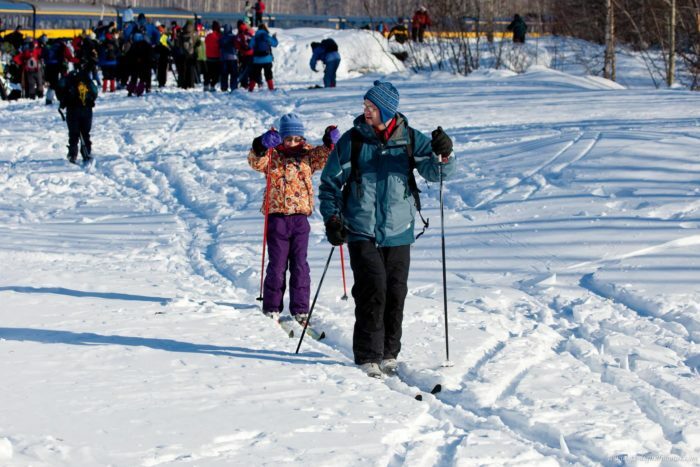 You can drop your skis, snowshoes, chariots, and fat bikes off at the Alaska Railroad Annex any time between 5:00 p.m. and 7:00 p.m the night before. Make sure your bags are labeled and weigh less than 25 pounds! There are no groomed trails, but with hundreds of skiers you can easily follow other's paths. Curry itself has something for every skill level! There's a mellow flat area around the tracks and the old townsite. 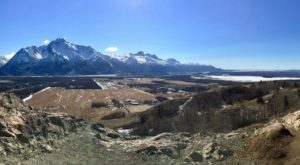 Or if you want a challenge, there's a great hill up the quarry road with switchbacks that bring you to 1,000' and give you amazing views of Denali. 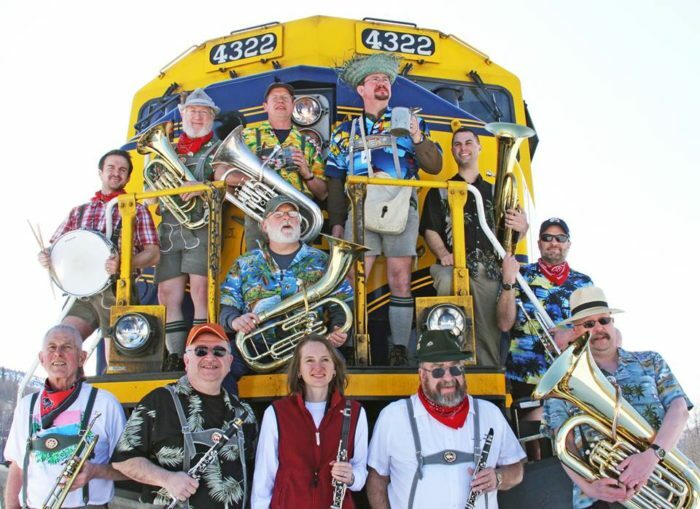 A staple of your trip, the Neal Haglund & the Alaska Blaskapelle Band will polka your whole way home! With bars on each car, you can be sure the train is filled with a fun, entertaining atmosphere after a long and beautiful day skiing! 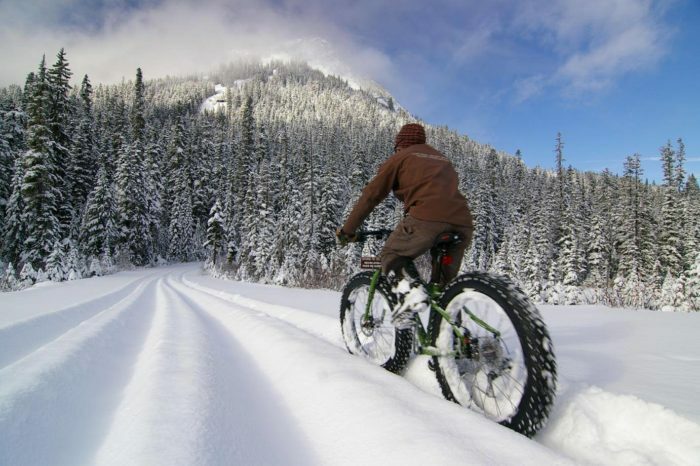 Some people even grab their fat bikes instead of skis, especially if there's fresh powder. There's plenty of room in the train car for your favorite ski gear! Tickets start at $140 for adults and $115 for youths 0-11. There are so many different add-ons you can purchase, as well. 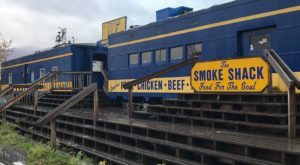 With the 21+ brewery sponsored train cars, complimentary beer is offered, as well as exclusive access to the Railgate Garden in Curry. You can also purchase entrance into the Garden! 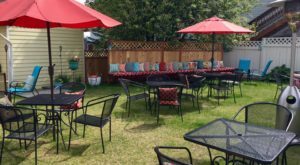 The Railgate Garden includes music, hot dogs, and adult beverages for groups of 21+. You can get more information on ticket sales here on the NSAA’s official website. Looking for another winter train adventure? 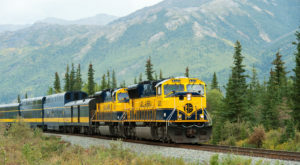 Check out the Northern Lights Train In Alaska- An Adventure You Don’t Want to Miss!